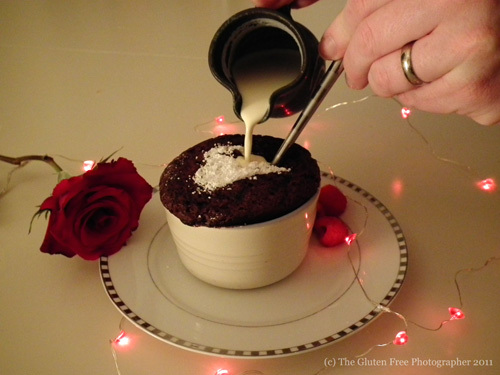 How could I not take advantage of my first St. Valentine's Day as a food blogger? This recipe has to be right up there as one of my favourites. It's simple to make, it's sweet and most of all it lends itself to being romantic. With the two main ingredients being chocolate and cinnamon, you know you're in good company. 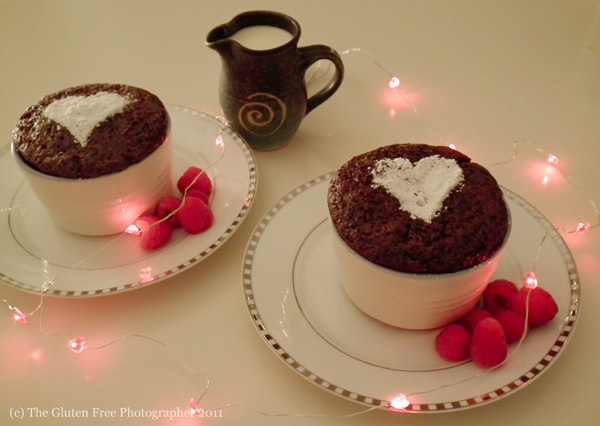 I call these Heart Warming Chocolate Cinnamon Pots. This recipe makes 2 - 3 portions, depending on the size of the ramekins used. Please see my 'Cups For Cooking' page for measurement conversions. - Preheat oven to 180 degrees C and place an oven rack on the middle shelf. - Grease 2 or 3 ramekins with butter. - In a small bowl combine the cocoa and sugar for your topping and set aside. - In a medium sized bowl combine the Juvela flour, sugar, cocoa, baking powder, cinnamon and salt. - Add the oil and milk to the mixture and stir until everything is well combined. The mix should look like a cake batter. - Divide the mixture evenly between the ramekins and place them on a baking sheet. - Now sprinkle on the topping you've pre-prepared, dividing evenly over the batter in each ramekin. - Pour 2 tablespoons of boiling water into each ramekin. - Bake in the oven for 15 - 20 minutes until they are firm on top, with just a little give in the middle. - Once baked, break open the top of your chocolate cinnamon pot and pour cream into the middle. They have a wonderful gooey centre made all the more tasty with the cream you add.